Sites on the iPoker Network are today starting a Winter Wonder mission-based promotion, with players having a choice of which mission to complete each day. 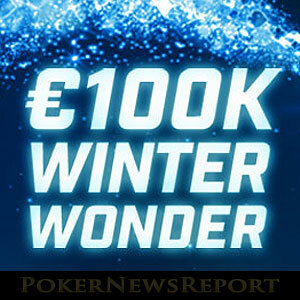 This month´s Winter Wonder promotion on the iPoker Network may seem very similar to every other monthly promotion the network has run this year, but there is a difference – the option for players to choose which daily mission to attempt. A version of “either this mission or that one” was trialled last month, when players could choose between an “easy” mission and a “hard” mission. For the Winter Wonder promotion, the two daily missions on offer are considered to have an equal difficulty level, so players who complete either daily mission will play in the same daily event. The concept of the Winter Wonder promotion is very simple to understand. Players opt into the promotion via the “My Rewards” section of the poker client and then select which of the two daily missions they want to take on. On completion of the challenge, they are issued with a ticket for a daily All-In Shootout at 8:00pm (GMT) that has cash prizes totalling €1,000 (cash and gift prizes totalling €2,500 between December 26 and January 1). Players who complete their missions and play in a minimum of three daily All-In Shootouts receive a ticket for a weekly All-In Shootout on Sundays at 8:30pm GMT. The first three weekly All-In Shootouts (December 4, 11 and 18) have €5,000 in cash prizes. The weekly All-In Shootouts on December 25 and January 1 have prize pools of €20,000 made up of cash and gifts such as a Go Pro Hero 5, Apple iPad Mini 4, Samsung Galaxy S6, and HP X2 210 Touchscreen Laptop. Please note that the terms and conditions for the promotion may vary slightly from site to site. Some sites on the iPoker Network may not require players to opt into the daily challenges, and several are awarding players who deposit a minimum of €20.00 a ticket into the next weekly All-In Shootout as a bonus. Players can choose from one or other of the daily missions. There is no option to complete both missions, or complete one mission multiple times, in order to win more than one ticket to a daily All-In Shootout. Although players do not have to be logged into their accounts or physically present to play in an All-In Shootout, manual registration is required. Players can check how many tickets they have available in the “My Rewards” section of the poker client. *Only NL Texas Hold´em and Speed Poker games with a minimum stake level of €0.05/€0.10. Heads-up games, games of 6-Plus Poker and games of PL Omaha do not count towards completing the missions. 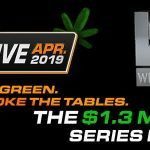 Being one of the largest online poker networks in the world, players have plenty of choice about where to participate in the promotion. We recommend Everest Poker, as the site is currently offering new players a 200% match bonus on first deposits up to €1,500, with the first €5.00 of the bonus cleared at 100% rakeback and the next €15.00 cleared at 50% rakeback. Everest Poker is also offering new players €10.00 free poker money (after the first deposit) to test out some of their games.